When you’re a teenage girl having a sleepover, there are a hundred different ways to stay entertained. 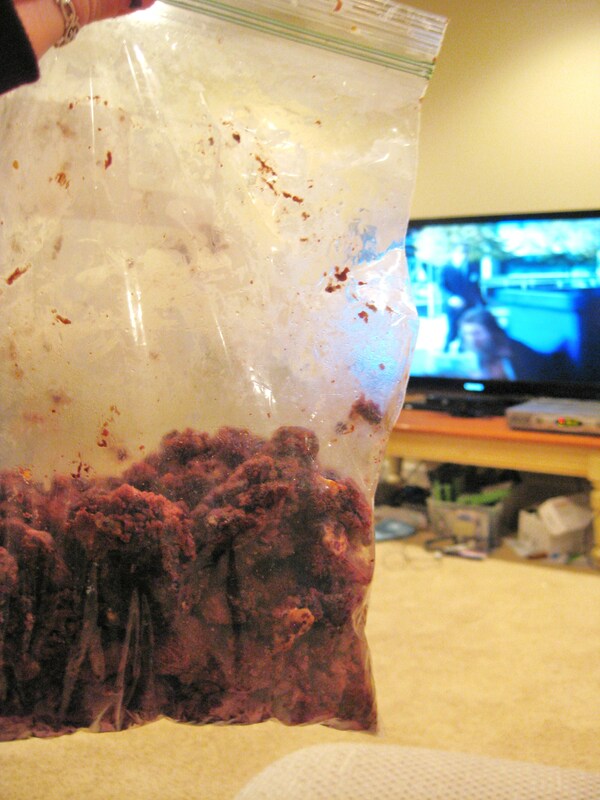 Movie marathons, walking in the pitch black, talking for hours, making sweets at 1am. Remember the Powerpuff Girls saying? Sugar, spice, and everything nice. Well, apparently, reality tv and cartoons are one and the same. Cartoons lie too. 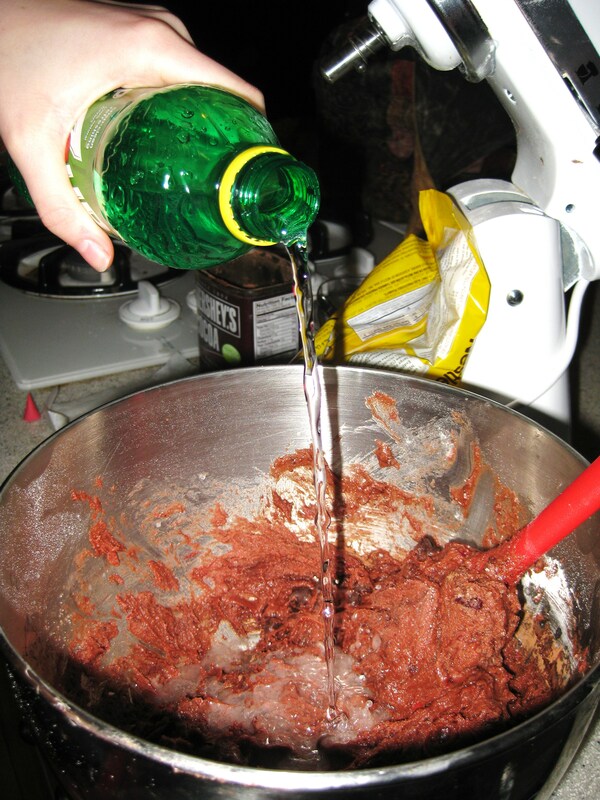 We followed the Powerpuff girl’s instructions to a T while making red velvet brownies. 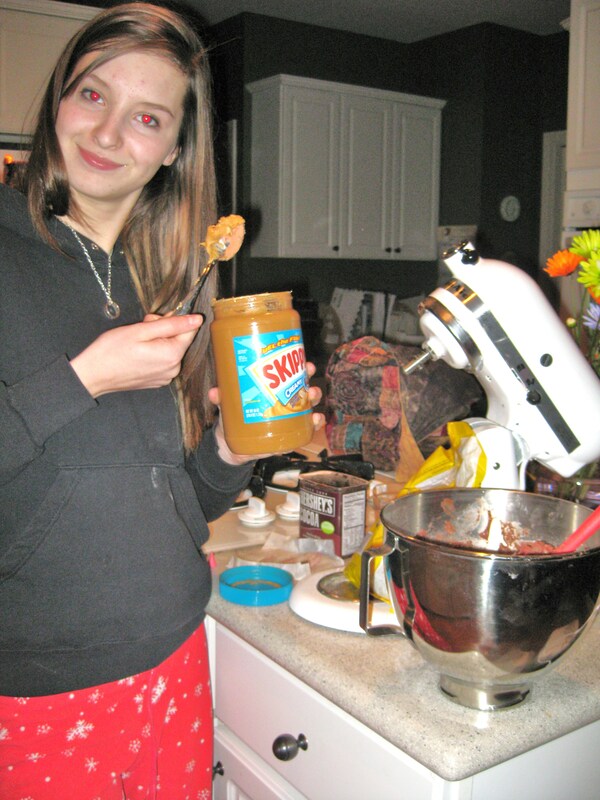 I’m kind of a peanut butter addict so a huge spoonful ended up in the batter. By the time we were done almost the entire contents of Liz’s kitchen ended up in those brownies. 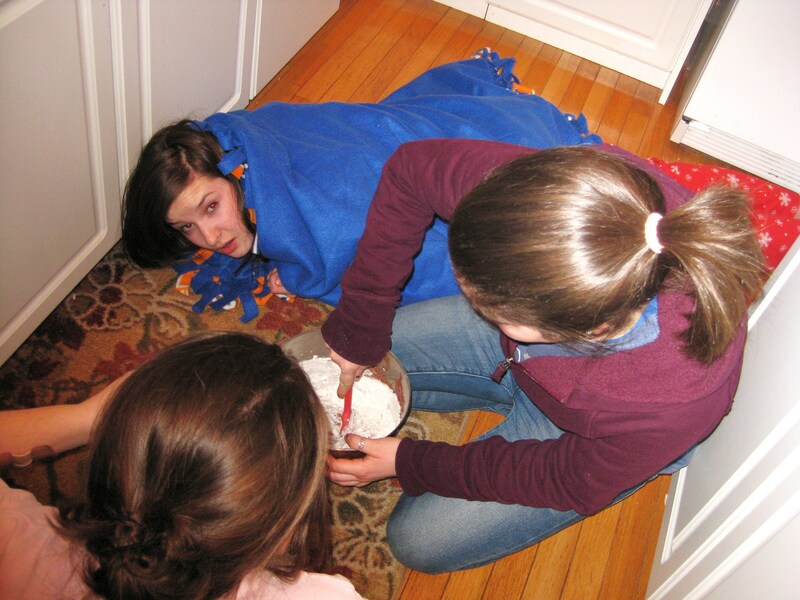 That’s why when Liz’s mom whisper-yelled from upstairs that we had to be quiet, we all dove behind cabinets and finished making brownies on the floor. This is the first time I’ve ever refused to take more than two bites of a batch of brownies. 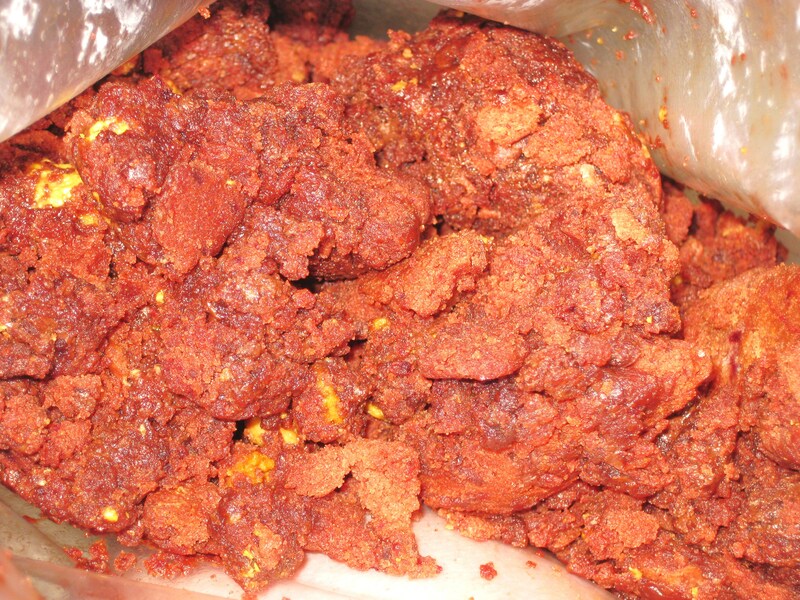 It’s also the first-and last- time I smuggle brownies out of a house to throw them in a dumpster (I call this destroying the evidence)..
Don’t be fooled by this overly stunning picture of the brownies…. they were disgusting. Here, does this put things more in perspective for you? Needless to say, this was a flop. I will never, ever, ever look at olive oil the same way again. Ever. Half a bottle just doesn’t need to end up in brownies. Or anything for that matter. Gross. Sometimes, specifically at 1am, keep it simple. 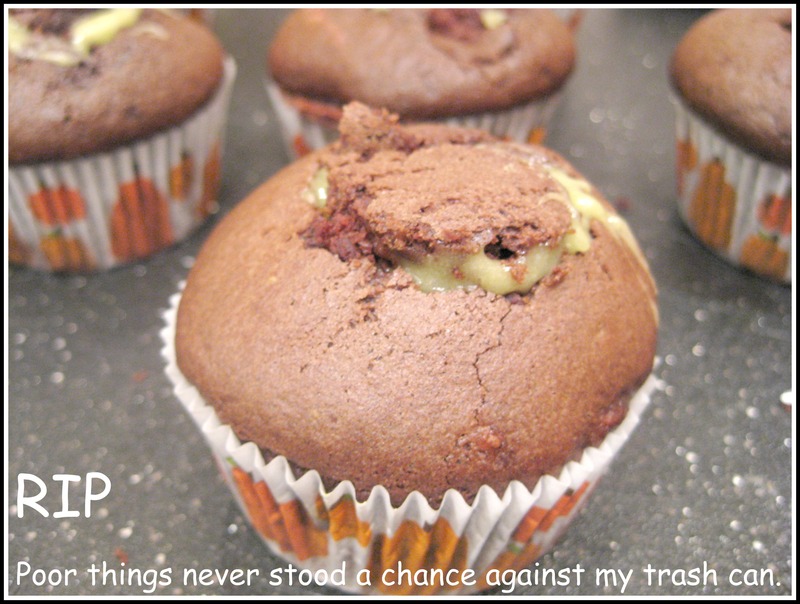 It seemed like a good idea at the time… That’s what I told my dad when he looked in the garbage and found 12 avocado cupcakes. My mom “almost choked on them”. I thought it was “a waste of two very good-looking avocados”. And my brother had a conversation at his lunch table today about how I could be “a very successful baker if I started making less exotic things, like chocolate chip cookies”. Thanks for the advice guys. – You see, this is what happens when you take a reality show meant solely for the entertainment of those at home on their couches, to heart. Cough, cough, Cupcakes, cough, cough, Wars…. Sometimes, it’s best to just leave certain ingredients to what they’re meant to be. Not always. But sometimes. Doing things with avocados that vear too far from guacamole doesn’t seem to be an exception to the rule… So here lies the avocado cupcake, a flop in its short-lived glory. The cupcake looked pretty snazzy, I was even going to make my Salted Caramel Buttercream for the top. I couldn’t wait to try the filling, the excitement of possibly being a someday Cupcake-Wars-Champion was too great to wait. The hope died fast. Skills for Success, of course, had the answer to why I would do something so impractical. It’s a class that all freshman are required to take. You take a series of tests and a computer tells you what you should do with you life, while pointing out your flaws. Let’s just say, I laughed when I got my results. Instead of, oh I don’t know, being in the math room where I could actually get some help so I could continue to be successful; I was staring at a computer monitor that was giving me the results to my life: Apparently I’m too compulsive and I will never finish anything in my life. Seriously. Also, my passion is going to run out. No time frame, but according to the computer, it could go any day now. Am I mad that I’m wasting my life in this class? You bet. But, you know what I think? I think that it’s more important to follow your heart than a set of computer results. Maybe making avocado cupcakes is a little compulsive, and maybe I like the idea of traveling and adventure. Does that mean I’m going to be unsuccessful and run out of passion? Uhm, I kind of doubt it. Let’s pretend the computer’s right and this is all going to come true. If I do become a very unsuccessful person, I will end up an author, blogger, foodie, and cookbook writer… I’ll be accepting failure by denying my inner performer… whatever will I do? 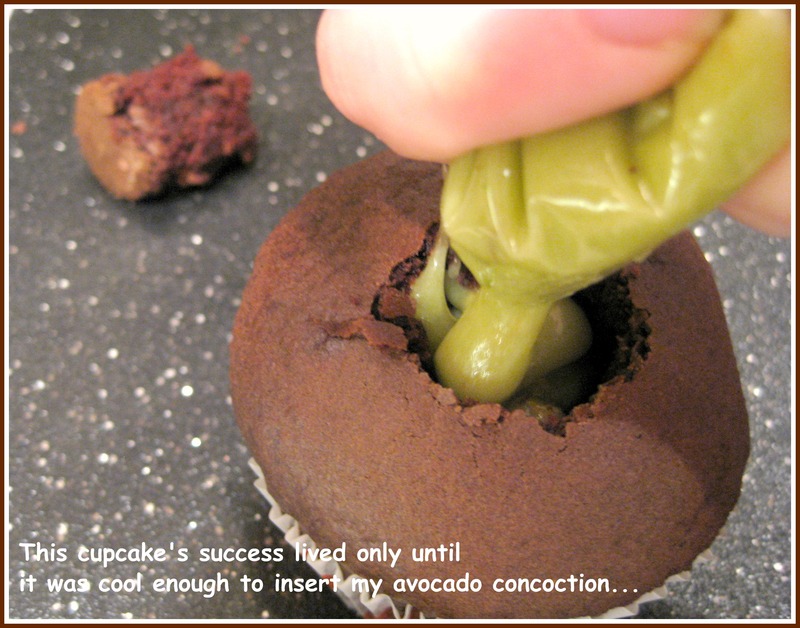 Anyhow, I don’t consider making Avocado Cupcakes that flopped themselves into the garbage a waste of time. Having fun is not a waste of time, being compulsive is fun, and you don’t need a computer to map out what life “should” be. I’d admittedly been looking through a new cookbook during our lesson about media in Lit. Learn about the media and how they distort the truth? Or look at my new cookbook from the library with all chocolate recipes? Media, or chocolate recipes? Huh. If my blog title isn’t a clear enough giveaway to which of the two won out, you‘re just not going to get it. It’s only just dawned on me that maybe I should have been listening. With a mom who was unwilling to go out and buy the ingredients our kitchen was lacking, my choices were limited. But all the same, I found a recipe. Sure, it wasn’t one of my absolute favorites in the book. But I had all of the ingredients and it looked yummy, so why not? Looking back, the picture wasn’t as pretty as I remembered it. Maybe our school’s lights are dim and my vision was blurred, or maybe I’d passed by the recipe during the slideshow portion while the lights were off. 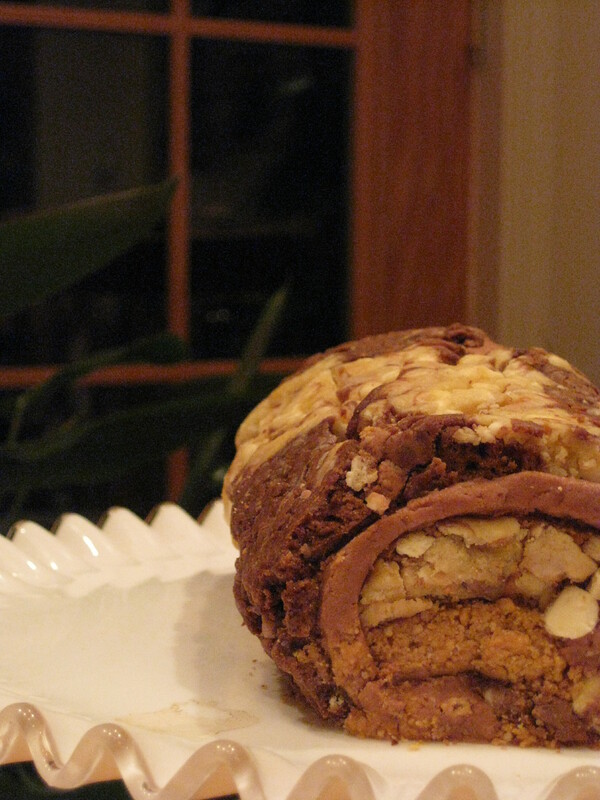 Or maybe I was blinded by the need to make a cake roll. I admit it, I’m compulsive cook! I changed the recipe. 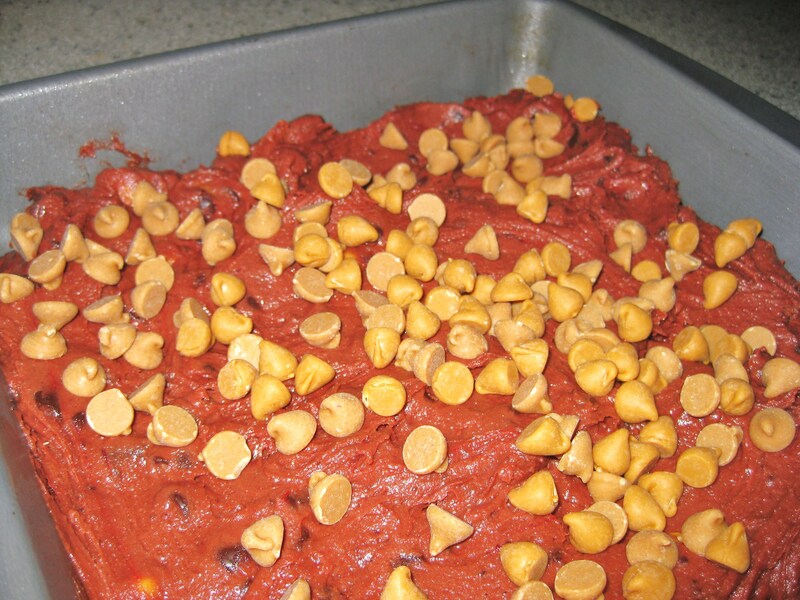 I added a layer of peanut butter cracker crust. After trying it with only their frosting and then adding a crust, a vote of four to one in my house said crust and frosting. You know when you get a bad grade on a test that you didn’t study for, so your guilty starts looking around for someone who did worst? The cake cracked as I rolled it, and its sides were crumbly. 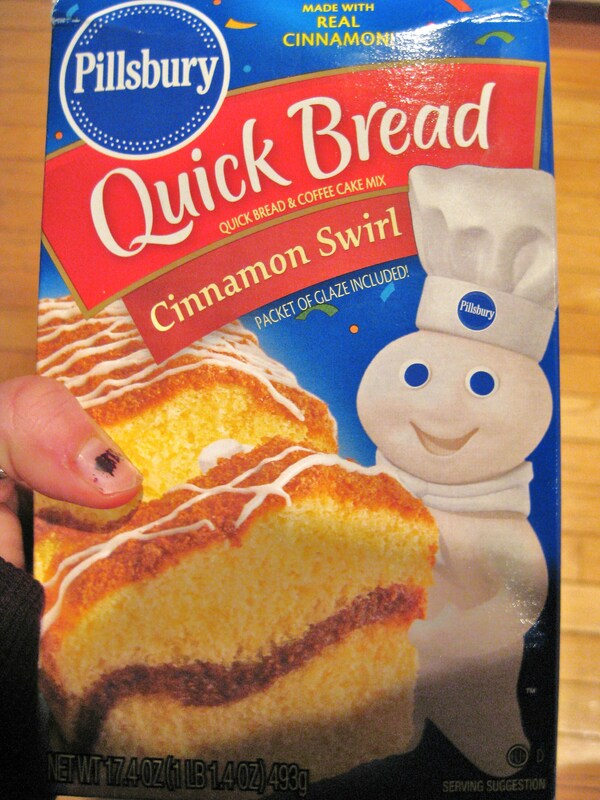 That’s when I grabbed for the book with the original recipe and picture. That’s when I started noticing all the imperfections in the original picture. I guess it just goes to show that instead of wasting an hour and a half of my time, I could have listened for an hour in a class I had to take anyway, and learned a lesson about how the media distorts the truth. Distorts images. 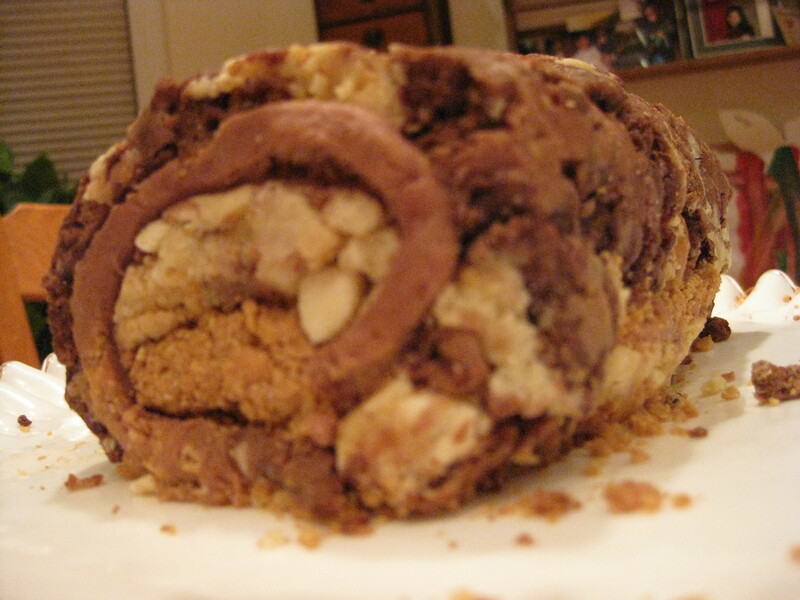 Images of cake rolls. Thoughts: I would recommend NOT making this recipe. It’s purely to show what I didn’t like. That way when I, or anyone else, wants to look back and see what didn’t work we can. The recipe is extremely sweet, and alright for about half a piece. I’m also posting the recipe for those who don’t believe in a failing recipe and wants to try to make and improve it. Tips: You don’t want to make something that looks like it hit the floor. Hard. I wouldn’t suggest making this because it flopped, hard. 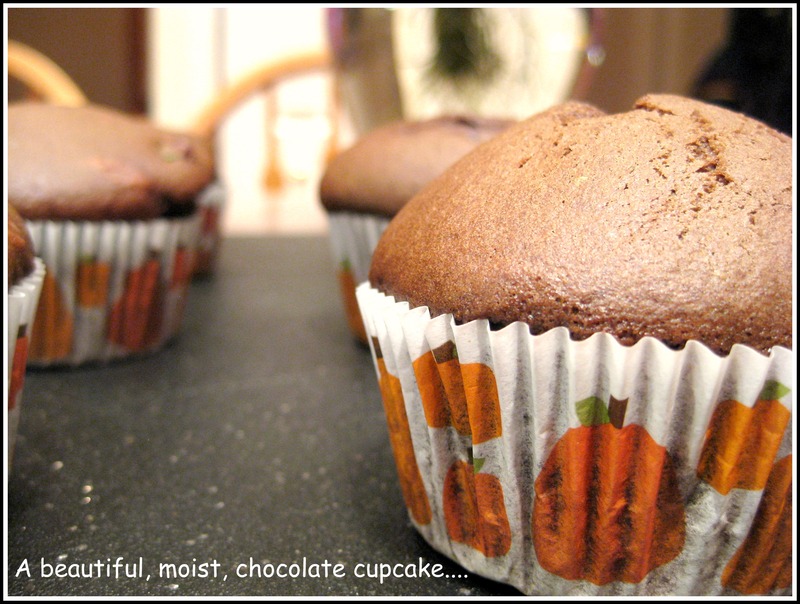 Now here comes the Chocolate Buttercream. By itself, this is one of my favorite lick-the-spoon frostings. Only problem? It’s hard to get off the spoon! 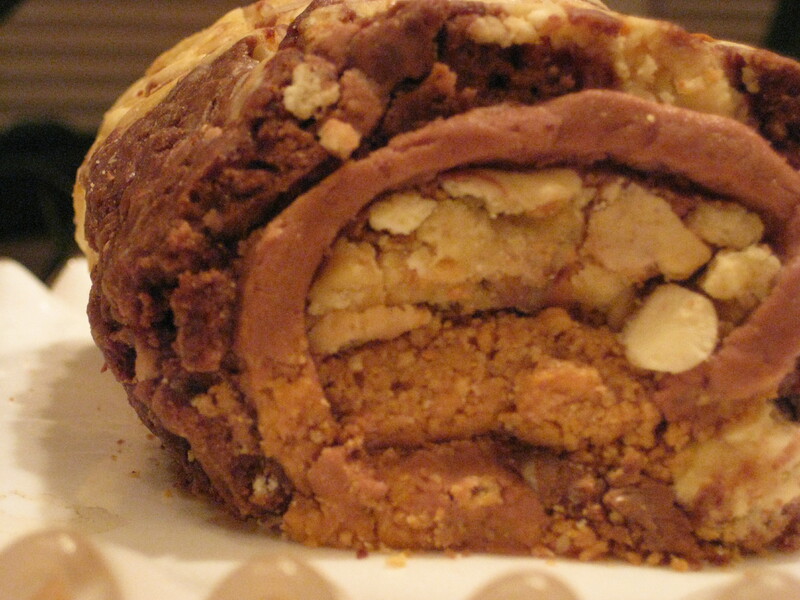 You may want to add more milk or butter, but that may draw away from the cocoa taste. I guess it’s all preference. 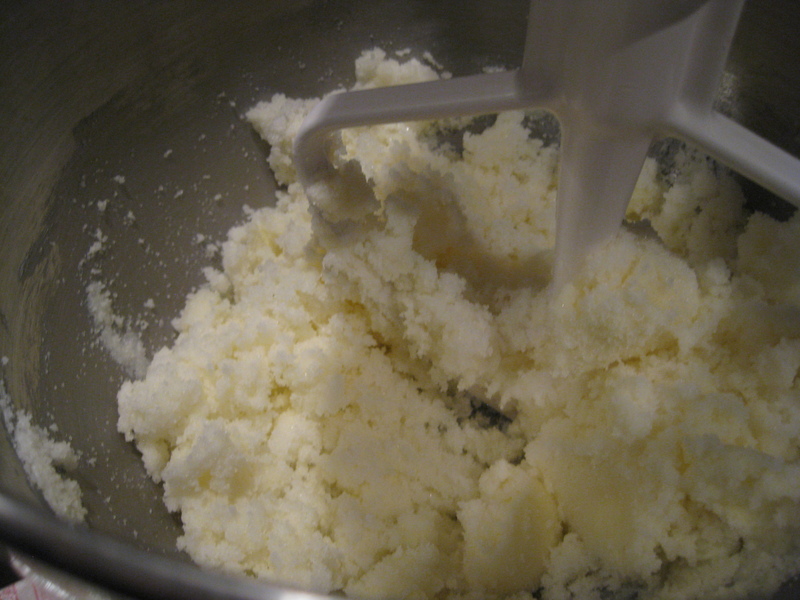 *Do not over beat, it will make the buttercream extremely light and the wrong consistently. 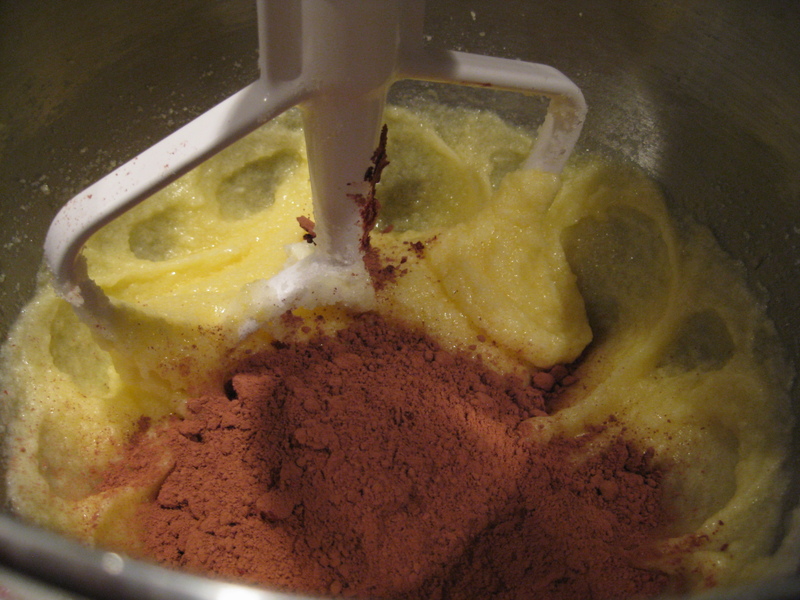 Mix all in a mixing bowl with paddle attachment until combined. When you touch it, it should stick to itself.